Colloidal Silver: Miracle remedy or not? I first heard of colloidal silver while going through esthetics school. Used in toner for benefiting all skin types, colloidal silver has many germ fighting properties. It’s often used to help heal acne-prone skin or skin suffering from burns or abrasions. After using the toner for some time, I grew to really love it. It definitely seems to help speed up the healing of acne and it leaves t he face feeling very clean. The idea of tiny silver particles suspended in water fascinated me, so I decided to spend more time learning about this product. That’s when I made friends with a distributor of ASAP 22 Plus Silver Solution, a patented formula of colloidal silver. My friend said his silver solution was designed to be taken internally to help promote a healthy immune system and fight off all kinds of illnesses. After hearing many more miraculous claims about this stuff I thought it time to do my own research. Colloidal silver is submicroscopic metallic silver particles positively charged and suspended in a colloidal base, usually water. According to the Mayo Clinic, no sound scientific studies to evaluate these health claims have been published in any reputable medical journals and that most large institutions of medical authority do not support any of these health claims. They warn consumers of the risks of developing complication. According to the National Center for Complementary and Alternative Medicine, though rare, excessive doses of silver can build up in the body from regular use. It can also lead to neurological damage, including seizures. The main complication that usually arises from overuse of colloidal silver is algyria, a blue-gray discoloration of the skin, eyes, internal organs, nails, and gums. Although algyria doesn’t pose a serious threat to one’s health, once the discoloration occurs, it’s permanent, and there’s no known way to turn skin back to its natural color. Silver has long been treasured for its ability to purify. Ancient Greeks made silver vessels for water purification. American pioneers trekking westward used silver to keep their water safe and to prevent dysentery. Settlers in the Australian outback suspended silverware in their water tanks to prevent spoilage. Topical silver antiseptic solutions were used during World War II. Even the superstition of throwing silver coins into a well is based on the legend of the metal’s healing properties. The use of silver for purification is not just a thing of legends or the past. 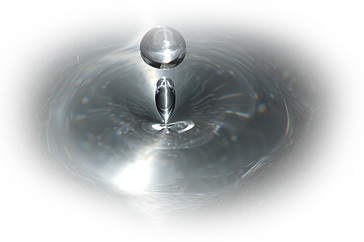 Silver water purification filters are used by international airlines and NASA had used silver in its space shuttle water purification systems. Maybe it’s because I’m not a scientist, but after doing the research I’m still not 100% sure how colloidal silver works. Molecular bonds were never my strong point in school, but what I can gather is that the positive charge from the silver ion steals a hydrogen molecule from an unhealthy bacteria and sets off a chain reaction within that bacteria which eventually causes that bacterial to die. That is the very short and watered down explanation. To be honest, by the time I got to doing all my research on the topic I had already been taking the silver internally for about four months. At first I started taking roughly a tablespoon a day but after a week and a half I felt kind of strange about putting metal in my body on a daily basis. When you drink colloidal silver, there’s a metallic taste that isn’t the most pleasant. So I decided to only take it if I felt an illness coming on or if I was going to be traveling by plane. Five months later I have used the ASAP 22 Plus Silver at least a couple times a month. I use it when I start feeling run down, and I have to say I have not once got sick. Is this a placebo effect? Maybe, but it’s working. Colloidal silver is now part of my medicinal first-aid kit and beauty essentials. One other point I have to mention is that more is not better. Although I continue to use it daily on my skin, the most I have taken internally is around 3 tablespoons. I have never felt any ill effect from taking the silver and I haven’t turned blue. Even after reading the negatives I don’t feel afraid as I don’t think I am taking anywhere close enough colloidal silver to develop algyria or any other complication.